Asymmetrical boxy satin top with wide drapped collars and 3/4 length sleeves. Oversized sweater in asymmetrical cutting with pleat detail. Satin top with pleats details on body and cuffs, with front knot detail. Zipper on back closure. 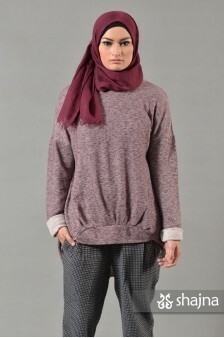 Oversized cardigan with drawstring belt and front patch pockets. Asymmetric closure with one button on draped collars. 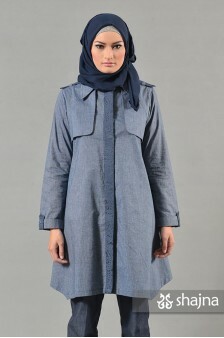 Asymmetric long shirt with pleat details and contrast pattern on collars, cuffs, and pockets. Double breasted wool blend coat with funnel neck, side pockets, and pleat details. Fully lined inside. 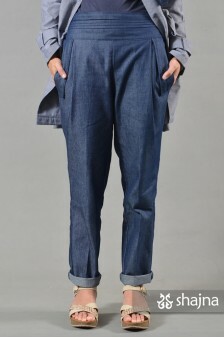 Cotton blend trousers with side pockets and pleats detail. Elastic waist band on back. Shirt with contrast floral motifs on storm flaps and back shield. Comes with tie belt to fasten the waist. Asymmetrical hooded cardigan with a pair of patch pockets, pleats on front section, and drawstring belt. Plaid wool blend coat with contrast buttons. Comes with storm flaps, shoulder tabs, side pockets, and tie belt. Fully lined inside. Tweed blazer in color block style with fake pockets. Buttonless closure. Fully lined inside. 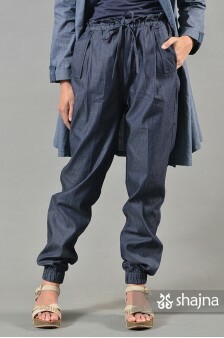 Denim trousers with side pockets and pleats detail. Elastic waist band on back. 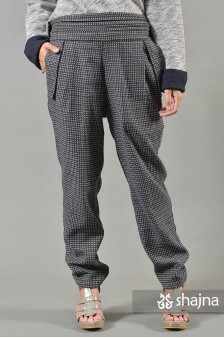 Slouchy trousers with a pair of side pockets and drawstring on waist. Ruffles on full elastic waist band. Elastic cuffs at bottom. 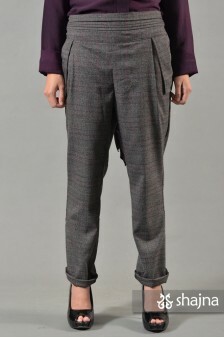 Wool blend trousers with side pockets and pleats detail. Elastic waist band on back. Asymmetric oversized knit top with contrast motif on cuffs and wide collars. Buttons on front closure.